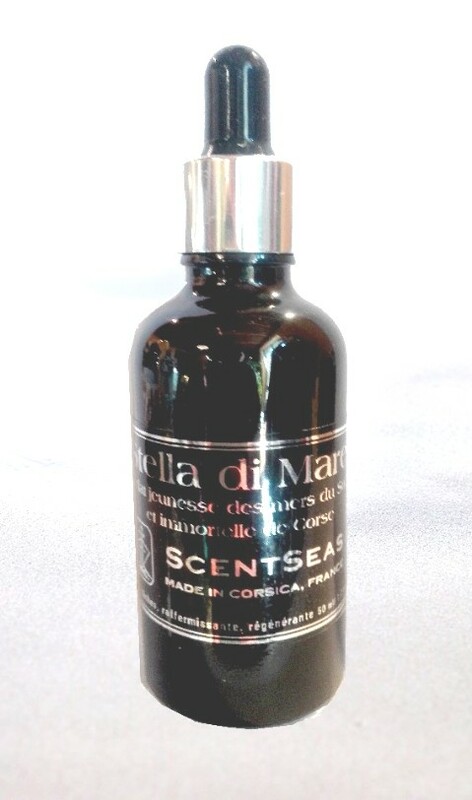 one can purchase one dram of pure Corsican immortelle essential oil for a minimum price of $85. We believe we can offer, even to the most demanding customers in the USA, our wide range of skincare products with an irresistible price range. We only use natural and precious ingredients and our products are, of course, cruelty free, safe for the environment, organic and totally made in France. We also carry a warranty of quality with the strictest controls and regulations. We are confident and proud that when you test a few of our products, you will immediately see their benefits on your skin. 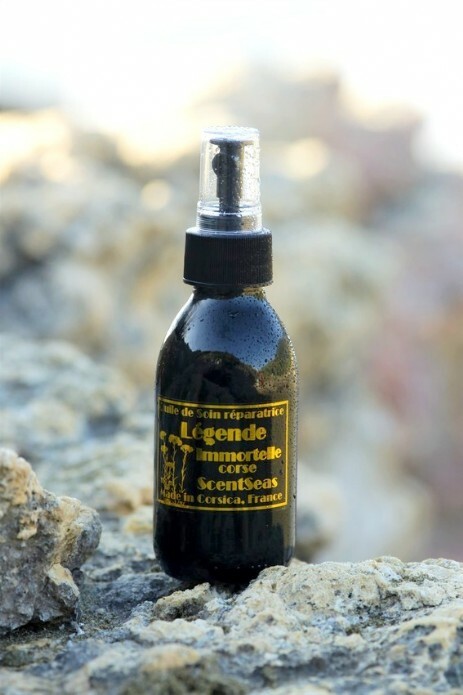 immortelle essential oil : This enchanting essence is wild harvested in the high altitude rocky cliffs of the Corsican countryside. Known alternatively as Everlasting flower, Sun Gold oil, this-our oil is steam distilled from the precious petals of the Helichrysum italicum flower. The chemistry of this high altitude soil makes the oil more beneficial than any other immortelle variety and distillation. Immortelle Essential Oil is one of the top performing oils in the Aromatic Assembly, especially for skin care. However, it is not just rarity that makes true, Helichrysum italicum, Immortelle Essential Oil so in demand! This gem has potent restorative properties that dramatically improve the appearance of skin imperfections. made with organic Immortelle essential oil. This balm is enriched with natural tensor, moisturizing, nourishing and decongestant ingredients. • dark circles, puffiness, facial signs of fatigue are dimmed for optimal tolerance of the contour of the eye. Help to regenerate and heal damaged hands and body parts. • The application of our regenerating and rejuvenating balm will have on your skin exceptional anti-wrinkle effect. 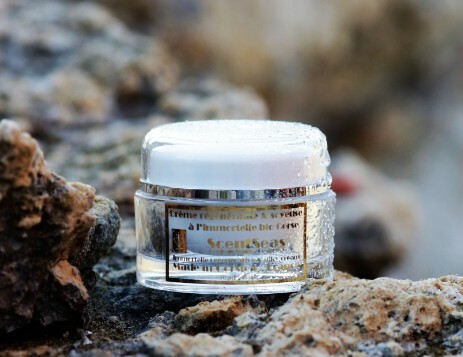 The Immortelle is good to improve your acne and may reduce rosacea. The balm contains 100% active ingredients; it is a real beauty elixir to apply preferably in the evening on the face and after showering or bathing on the body, on a damp skin. It contains no preservatives or colouring. Your skin will be truly transformed. may help in soothing symptoms due to dermatosis, naturally protects from the sun with an indice of 5. Apply a few drops on your fingers, and massage thoroughly on your face and eye area. It penetrates quickly. You can use the serum as a treatment by itself or adding for more benefits in one of our cream. Apply on a clean face in the morning or in the evening. You can also apply on wound, scar, oedema directly.